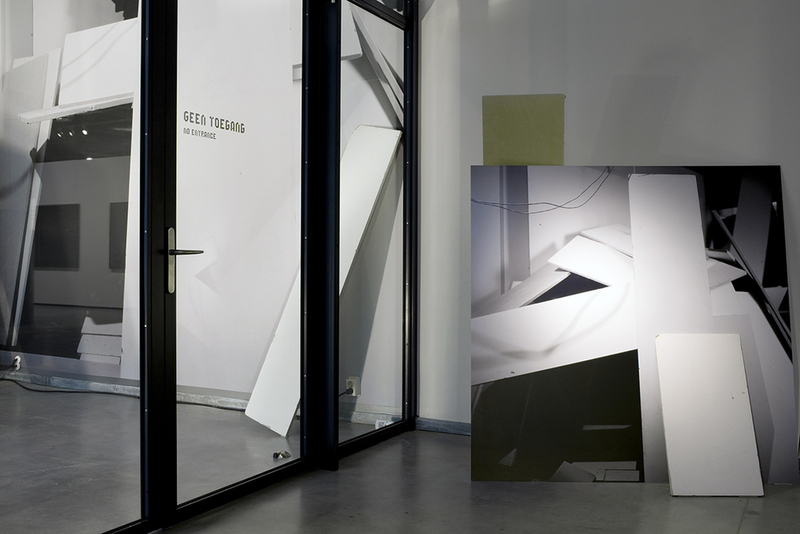 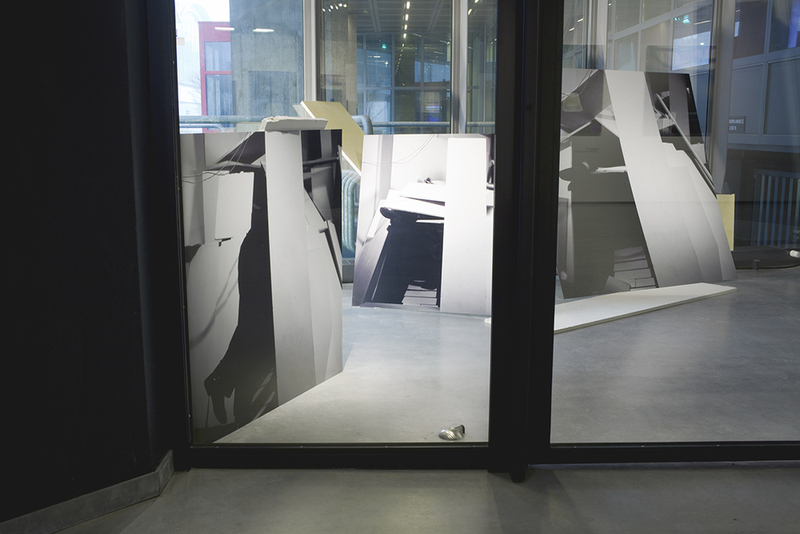 The first version of the installation ‘Intercollapsing’ in the emergency exit of Het Nederlands Fotomuseum in Rotterdam illustrates Kruithof’s interest in the use of space and photography. 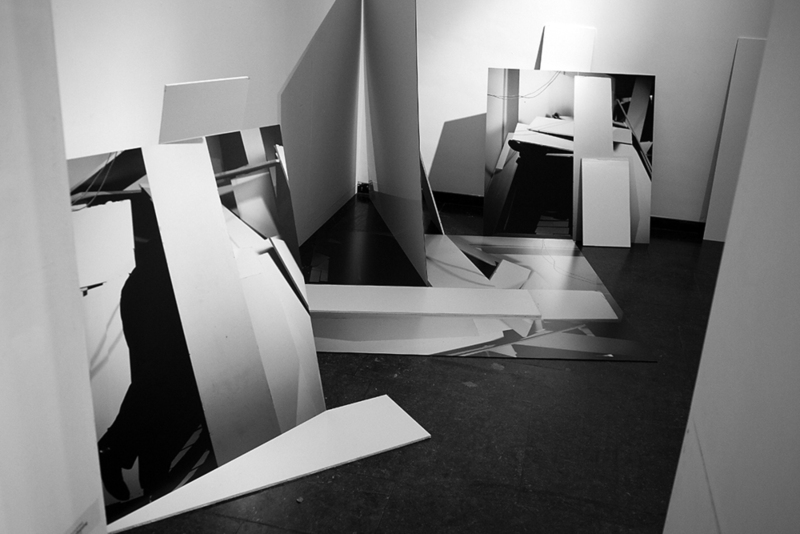 In this work she breaks down the photographic frame in the same way she physically breaks down the structure of the architecture the image represents and it’s narrative. 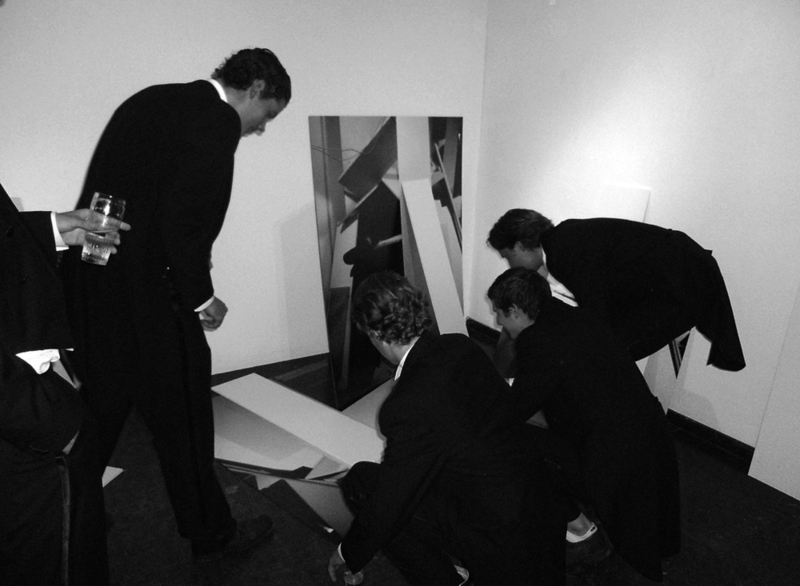 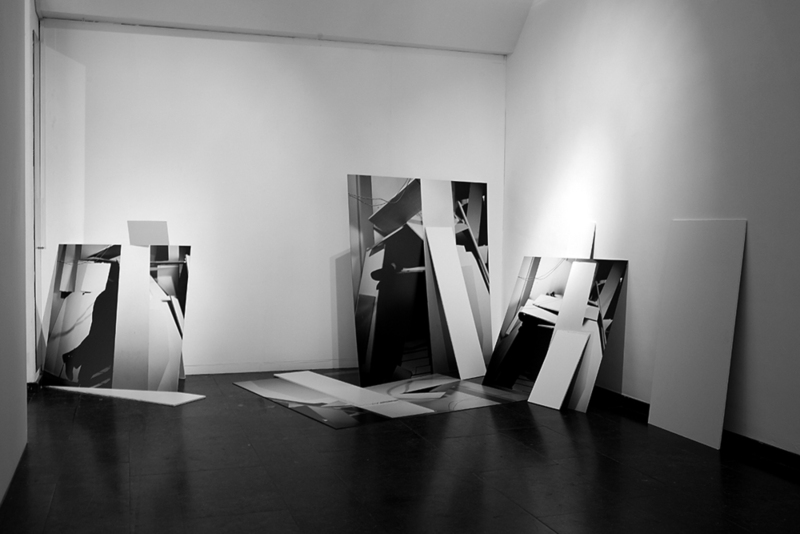 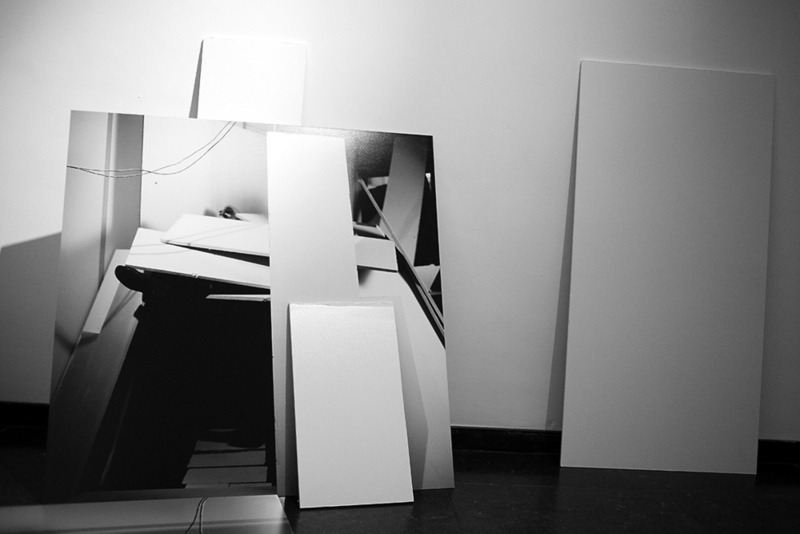 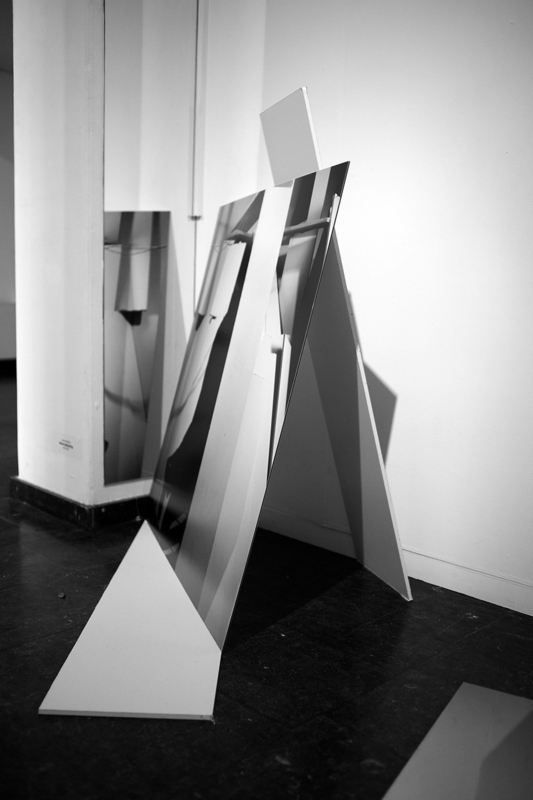 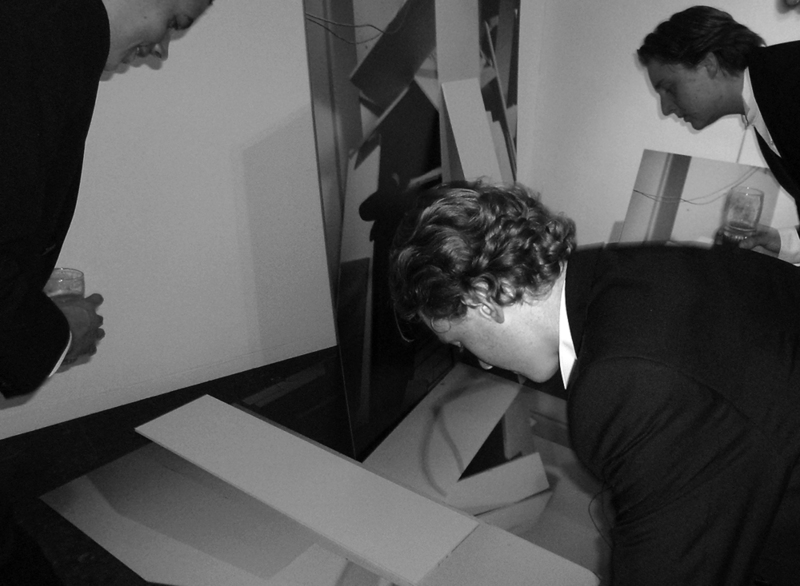 The image presents an installation build out of ceiling panels taken out of an office, which Kruithof calls office-shelter, and it collapses over several images. 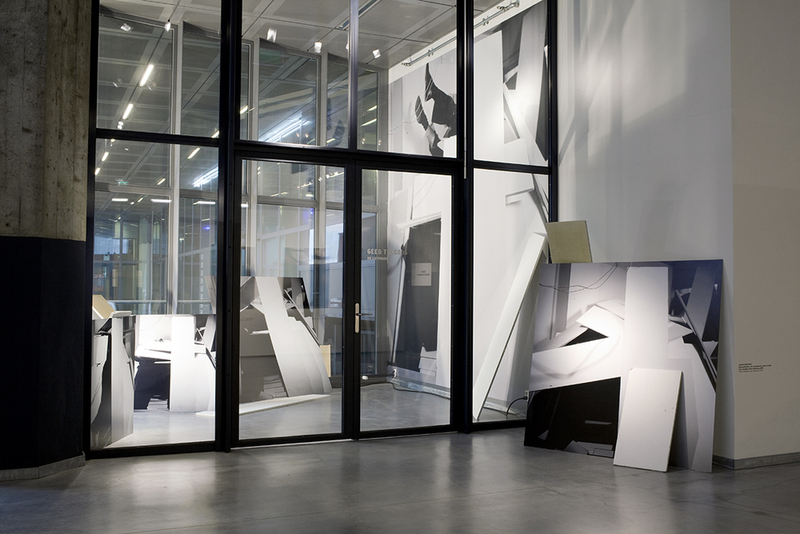 The installation renders the state of disorientation that would be evident if there were actually real emergency. 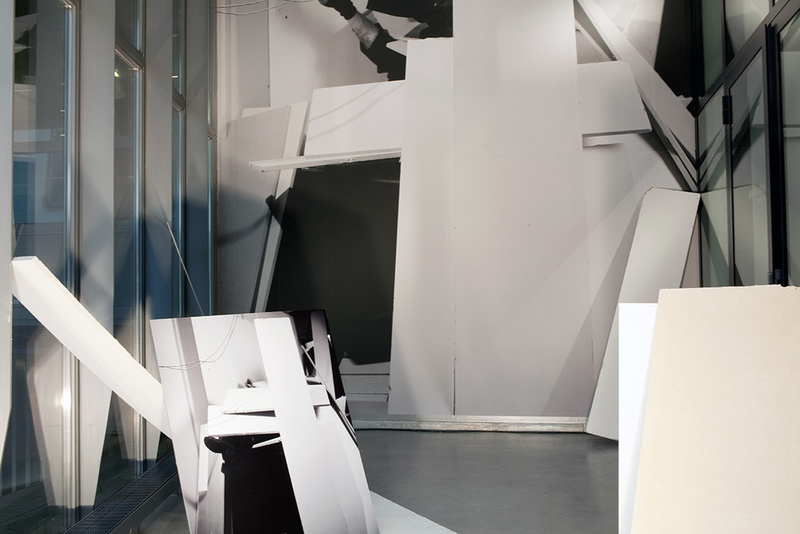 Additionally, her placement of the photos destroys the usefulness of the actual “emergency” exit. 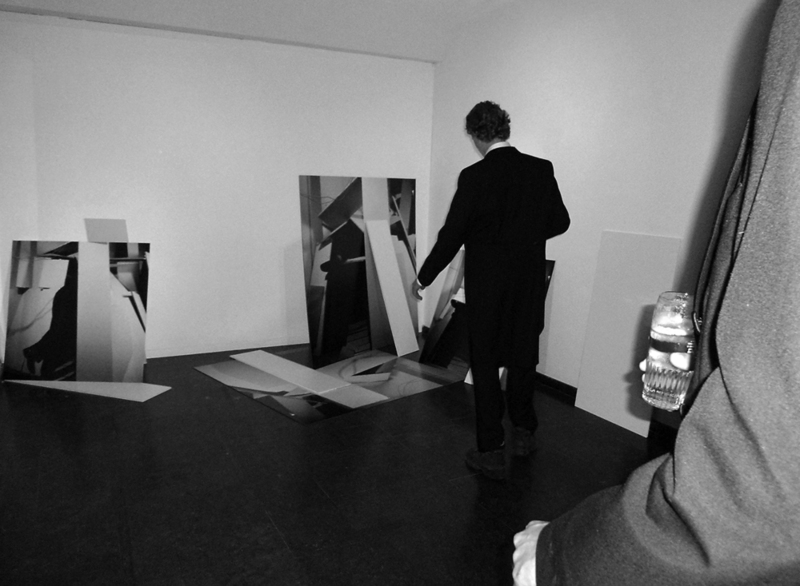 Or, conversely, if there were to be an emergency the photos would be destroyed by the exit’s use. 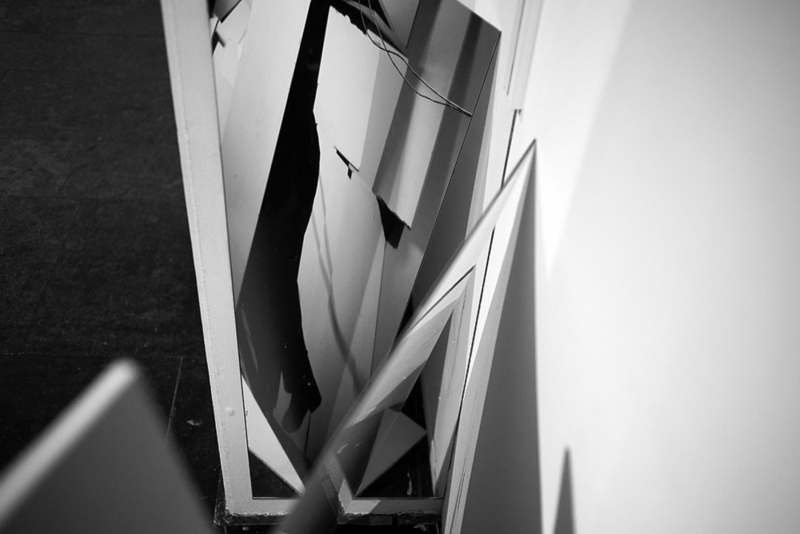 Intercollapsing was installed in in the emergency exit at Het Nederlands Fotomuseum Rotterdam during the groups exhibition Quickscan 01, Dutch contemporary photography now 2010 and took part in Second Act Festival 2011, De Brakke Grond, Amsterdam and in the group exhibition Breaking Surfaces at galerie Jette Rudolph Berlin.